A cute, fresh and pretty design perfect for a little girls bedroom. 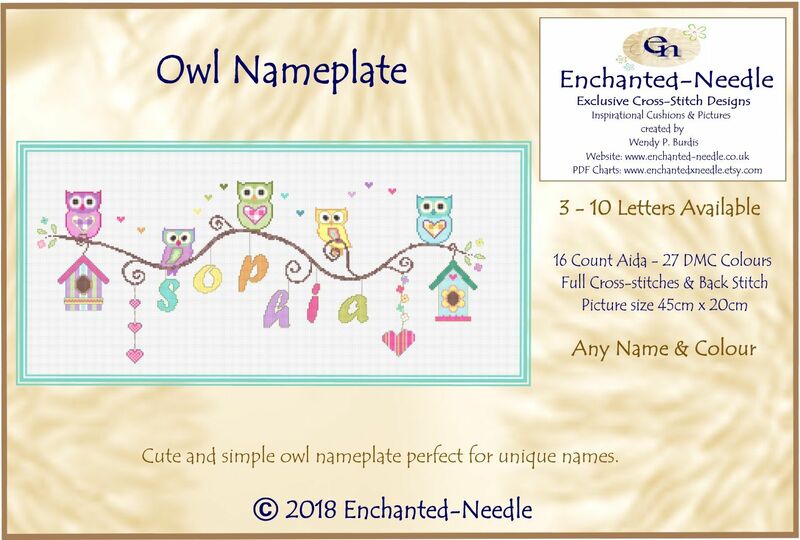 Designed for you to add the name required. (Please read the instructions). 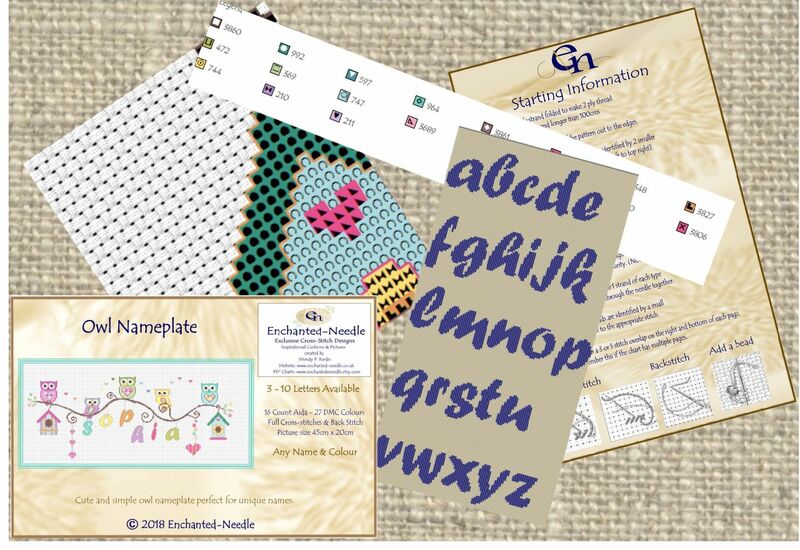 Alphabet Sheets are included with the design. Full cross stitches and backstitch.